We are recognized as one of the stupendous Perforated Sheets Exporters from India. 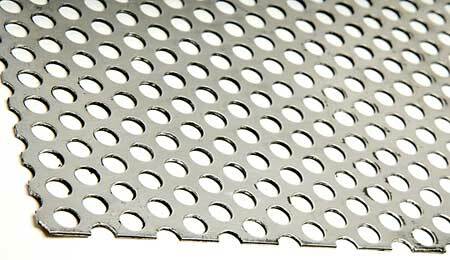 The Metal Perforated Sheets offered by is made up of excellent quality materials like Carbon Steel, Aluminum & Stainless Steel that make them ideal for application in automotive, lighting, construction, agriculture, petrochemical, laundry, mining, military and acoustical applications. The Perforated Stainless Steel Sheets contain Hole Patterns of varying sizes and shapes like staggered rounds, centers and squares, straight square slots, round and line squares, round slot end and side staggered and hexagons, created by punching presses.